Make your pet's life colourful with this bright and stylish luxurious Blue Doghouse Large Dog Bed. 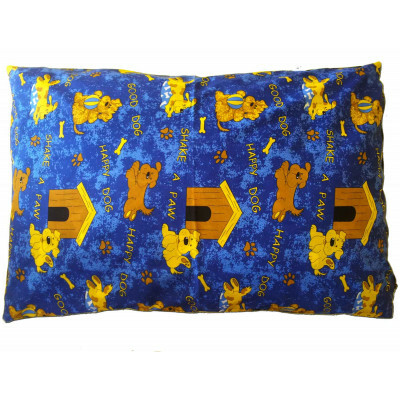 The beautiful print of this dog bed showing a pretty dog with his house playing a ball looks extremely adorable. This deluxe dog bed comes in large size so that your dog can sleep in his favourite sleeping position without any trouble. Made from luxurious hollow fibre and cased in opulent polycotton fabric, this dog bed will surely give your pet the comfort it deserves.